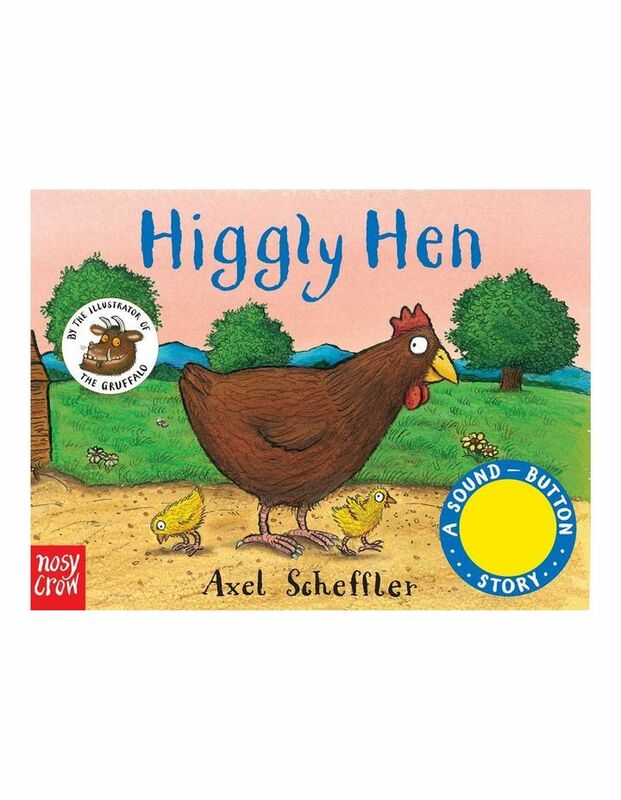 A friendly farmyard picture book tale about a Hen called Higgly. This brightly coloured picture book from Axel Scheffler, comes in a sturdy board book format with a built in big sound button. Little fingers will enjoy pushing the big sound button to hear Higglys noisy clucking. Higgly Hen has lost her chicks! Oh dear, wherever can they be? Follow Higgly around the farmyard as she searches for her missing chicks.